Website Accessibility: What is it and why is it important? It’s 11 pm and Lana is logging on to her Mac. Like her fellow classmates, she procrastinated on a college paper that’s due in the morning. She fires up Chrome, which begins dictating her Gmail content out loud. Using the texture of her keypad and voice dictation, she writes a a few emails to her study group members. Unlike her peers, Lana is blind. She relies on audio dictation to ‘see’ pages of the internet, whether she’s shooting off emails to professors or looking up new recipes. Lana is one of millions of people around the world who rely on website accessibility to use the internet. As technology becomes more entrenched in our daily lives, website accessibility bridges the sensory gap for people with disabilities. Learn more about the importance of website accessibility, and how you can implement it on your own website. The internet is an open place that connects millions of people across the world. Tools like text to speech and voice dictation give more freedom to people with hearing, sight, or physical disabilities. It helps people be more independent: Lana can read her email, apply to jobs, and manage her money without assistance. Although these great tools are available, there’s one huge problem: websites aren’t always accommodating to these tools. This makes it tough for people with disabilities to access the web. Website accessibility removes the barriers that prevent people with disabilities from accessing your site. Many website owners don’t even realize that accessibility is an issue. Too often we forget that not everyone sees a website as you do. Website accessibility gives website owners a set of standards to improve your site experience for all users. Accessibility isn’t a luxury. It’s a necessity. It needs to be integrated in your site’s development and design from day one. It’s critical to include for several reasons. Firstly, the United Nations defined internet access as a basic human right. Accessibility is a right that you owe your customers. It also gives a higher quality experience to your customers. Don’t lose business after making the wrong impression. Failure to integrate accessibility excludes people from working with you, which is harmful to businesses of all sizes. 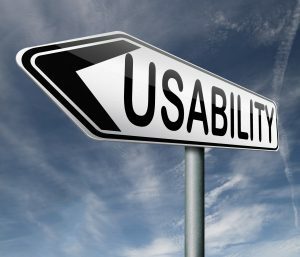 Savvy site owners need to prioritize website accessibility for optimal user experience and a stable bottom line. Accessibility opens up the world to users with disabilities. But what does it mean to have an accessible site? Does it require extra work, or radical changes to your site layout? Many accessible features are added on your site’s backend. You can’t see these extra snippets of information, but disabled users rely on this information to read your site. Ideally, accessible sites offer content in both visual and audio formats. This opens up your content to people with either visual or hearing impairments. Mobile-first design and search engine optimization (SEO) are other must-haves to help you create an accessible site. Do you want to open up your site to more users? Use these five action items to seamlessly integrate accessibility. Accessibility is yet another reason to build your site on WordPress. WordPress offers many free themes that make accessibility automatic. Whichever theme you choose, make sure the content layout and backend features use accessibility best practices. Here’s a list of a few accessibility-friendly themes. Check all of your plugins to ensure they won’t interfere with accessibility settings, too. Alternative text, or alt text, helps site visitors ‘see’ your images. Use vivid language to describe your images, both in the file name and the alt text. Always check your settings! Even if you have alt text automatically filled, “IMG453” isn’t going to help your site visitors understand the image. But alt text isn’t just for the visually impaired. If you cater to customers in areas with slow internet access, sometimes their browser will pull alt text information instead of the image itself. Alt text also helps search engine crawlers ‘see’ your image more clearly by associating the image with the keyword or phrase used in the alt text. An example would be for an ecommerce shoe store, to replace the alt text of “IMG453” with “girls red running shoes”, for the image on the product page for a pair of red running shoes for girls. This serves two masters allowing for accessibility for visually or hearing impaired, and boosts your SEO rankings by telling search engine crawlers what words your page is relevant for. It’s clear that your site visitors crave video content. But what happens if they can’t hear the audio? Subtitles and transcriptions help your site appeal to visitors who are hard of hearing. Offer text transcriptions of videos or any audio that’s on your site. It can even help your SEO presence by giving search crawlers more text to index. You’d be surprised how many users are seeing your site with an assistive screen reader. Screen readers are a type of software that convert text and images into non-visual content, like text-to-speech. Format your content for screen readers to easily process and communicate your site content to its user. Screen readers rely heavily on your site’s HTML to structure content in a way that makes sense. If you aren’t using header tags, like <h1>, you’re making it harder for this technology to understand your content. Make sure your site is laid out according to HTML and SEO best practices. H1 tags should be for your site’s title only. Don’t skip between header tags, either. While you might like the look and feel of your site’s H3 tag, skipping the H2 tag can have dire consequences for users who depend on your site’s header settings. If you aren’t sure about your site’s layout, partner with a trusted web developer like Logical Media Group to overhaul your site’s accessibility. Did you know that 4.5% of the world’s population is color blind? It’s difficult for colorblind users to see red and green, as well as any colors with red and green in them, like purple. This is bad news if you run a Christmas tree website with jolly red and green decorating your site. If your site contains red or green text, there’s a good chance colorblind users can’t see your content as it is intended. It’s great to use color, but always think through how you use color. Don’t put critical information on your page in these colors; instead, use them for non-essential design elements. The Americans with Disabilities Act (ADA) was signed into law by George Bush in 1990. The ADA made a declaration that it would allow all aspects of American life to be available to all individuals with disabilities. This would include employment, government jobs and services, transportation, telecommunications and public services. Being compliant has been a subject of much debate. The internet has grown rapidly and forcing heightened levels of compliance on a global scale could be catastrophic. With that being said, we as businesses and citizens of the world, must do everything we can to ensure the internet, websites and all content offered digitally is accessible to anyone with a disability. ADA compliance is something that will become more of a forefront conversation in the future but as of now, majority if sites are not compliant. We at Logical Media Group have started our research on this topic and have found few plugins for WordPress that are out there in the space. Currently, an official guideline for what “compliance” means, when it comes to internet accessibility does not exist, but most commonly referenced is the World Wide Web Consortium’s (W3C) Web Content Accessibility Guidelines (WCAG 2.0 AA). make your website technically sound. Here is a link to a great article covering the same topic. The internet connects many people, but we often forget that site visitors have a range of abilities and needs. Make your website user-friendly for all by implementing website accessibility best practices. You’ll not only connect with a larger audience, but see improved search engine presence and user experience. Accessibility is a necessary component for your website.